Farm fresh produce, maple syrup, and honey are just a taste of what you can discover and enjoy at MacWilliam Farms. Located in Queensville, Ontario, we are easy to find and only a short drive away for Greater Toronto Area residents. Visitors can browse our store (housed in a 111-year-old barn), pick their own organic produce, or simply take in the fresh air and scenery. 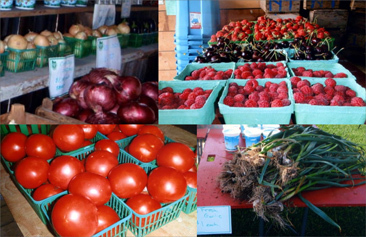 You may also visit us at the Gravenhurst Farmers’ Market. Come and discover why farming has been a tradition in the MacWilliam family since 1841. We offer quality products your family will be sure to cherish. For more information please call 905 836 9656 or visit the website.